As the fintech universe continues to converge, so does the gap between the value provided by financial services and the reality of what customers want. Research by Capgemini confirms that more than 70% of banking executives say customer-centricity is important to them, yet only 37% of customers think that banks understand their preferences enough to deliver on them. So what exactly is missing for banks, insurers, payment providers? How can they capitalize on key moments of change for customers and win their loyalty time and time again? Leaving a job, launching a business, buying a house, moving countries, opening a joint bank account — these are all pivotal points in people’s lives; points at which managing money is a must. Yet these life-changing financial decisions have the potential to create the greatest friction in people’s ability to get where they want to go. It’s never been easier to switch banks. Digital-only offerings continue to push boundaries and make it easier for people to move finances over for good, or add products and services elsewhere as they apply for a mortgage or finance a new car. These moments of potential customer attrition are the windows of opportunity through which you can prove your worth as a service provider, and seize the chance to add value and stand out for your customers. ABN AMRO is a good example of a future-forward bank that's already created a set of services around life changes big or small — from their open repayment platform Tikkie, to their app, Grip, which helps you stay in control of your spending. By coming up with creative ways to serve customer needs and then offering these services at exactly when they're most needed, banks like ABN AMRO are deepening the long-standing relationships they already have with their customers, and turning these potentially ‘dangerous’ moments into opportunities for customer engagement. Use the currency of customer data. Wisely. Heritage finance players have been struggling to set a new precedent for customer journey-based money management. Restructuring for digital transformation is no small feat, but many are starting to catch up with newer fintech disruptors. While some are busy putting new smartphone-friendly products in the palms of their own people, others are building an ecosystem of digital advertising around their customer-base. But the competitive stakes continue to rise in the race to survive, and if they want to keep winning the hearts of customers, finance companies must do more than stay on par with industry disruptors. They must differentiate through innovation in customer empathy, not just customer convenience. To stay ahead in the long-run, however, these businesses will need to do more with one very essential: customer data. The financial turning points that happen routinely in people’s lives create quality streams of information for these companies to use in capturing genuine interest and creating opportunities to build loyalty. This kind of data has been referred to as ‘thick data' — unquantifiable insights from real people. And as you can imagine, thick data is immensely valuable, if you know how to gather it and then activate it effectively. Understanding the hopes and dreams of your target group doesn’t come from aggregating ad interactions and staring at millions of disconnected data points on a dashboard, but through one-to-one interactions. Of course, taking to the streets and talking to every high-value account holder is out of the question once you scale into the millions. Here's where more longstanding finance players are in luck, because they already have a stronghold of opportunities to personalize digitally through building customer journeys upon customer data. By leveraging this data, they can be more relevant at the right moment: like offering complimentary start-up support to a customer who has enquired about a business loan or offering travel insurance to someone who frequently transacts overseas. It doesn’t mean that big data sources and large-scale campaigns aren’t important or valuable. What it does mean is that these powerful engines should be used to supplement customer data-based journeys, not as a core or primary driver for customer outreach and service. Direct relevance always wins out. 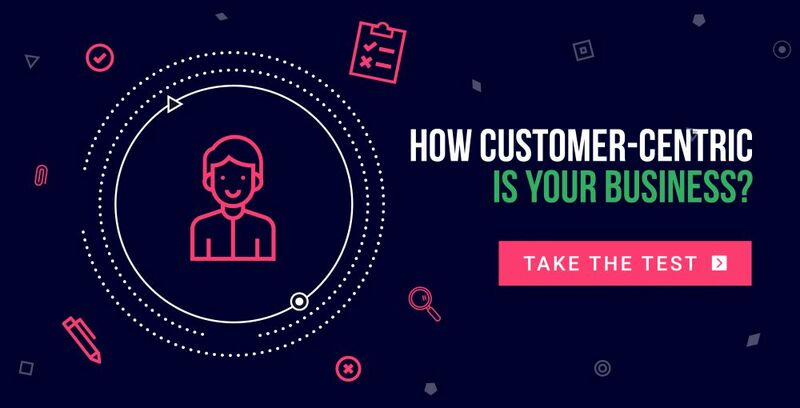 If customers can recognize and recall why you’re speaking to them about this new service — and if it makes sense — that's all the more reason for them to stick around. Regardless of fintech’s prominence in the headlines, financial services is not a tech product — it’s a people-based service. By stitching together customer context, tech players can create some semblance of connection by tracking footprints in display data, summarizing someone’s life decisions through their ‘likes’ on social media, or by scrutinizing patterns in web browsing behavior on various analytics dashboards. But this will only get the Bank of the Future so far in understanding what their customers — their most valuable asset — truly want as individuals. The secret is sitting right in the systems and databases within your own walls, in a resource that many finance leaders assume is no longer relevant, accessible or actionable. A resource that customers haven’t unwittingly parted with by way of a third party, but given directly as a symbol of their trust. To make it in a world of big data, remote connections and predictive modeling, financial services need to make the most of the single source of information they can be sure holds the original truth and intent, as well as the key to their CX strategy — the data they already have. This is the key to keeping customers, and the key to owning the future of finance. Financial services customers interact with their banks and insurance providers through both online and offline channels, and they want the flexibility to switch and be recognized across all of them. Here's what it takes to truly connect the full breadth of the customer journey.